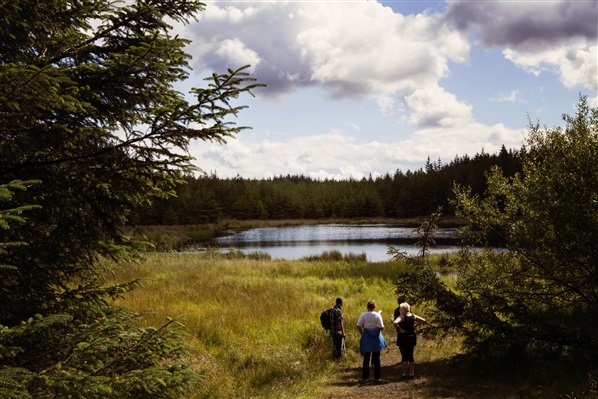 With festivals happening in the Mourne Mountains, North Coast, Sperrins and Fermanagh there is plenty of opportunity to explore the diverse variety of landscapes and perhaps hike somewhere new with likeminded people. Keep an eye on the WalkNI Festival calendar for information throughout the year. 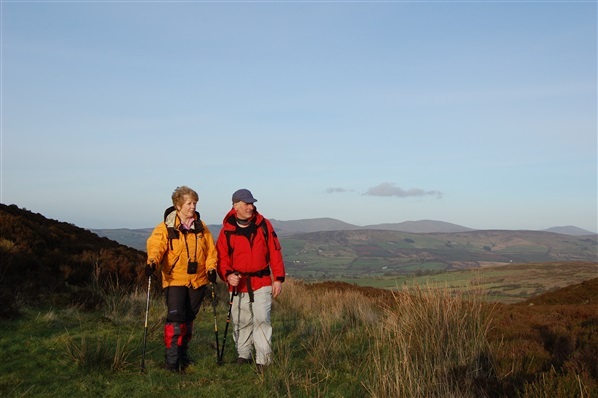 Organised by local rambling club, the Bannside Ramblers, this annual long distance walking event showcases the very best that the North Coast has to offer. The 30km route from Portballintrae to Portbradden and back along the rugged coastal path passes the world famous Giant’s Causeway. All walk completers get a certificate and badge to wear with pride! Check out the WalkNI blog, ‘Taking on the Causeway Coast Walk Challenge’ for a first hand account from one walking club who headed to the North Coast to take on the challenge in 2015. 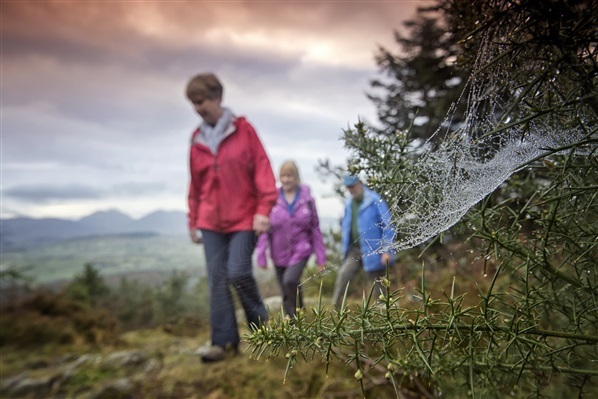 Ranging in length from 20-40 miles, these long distance walking routes pass through some of the most beautiful scenery in the country along the Ulster Way. Signed by waymarker posts some of the routes are cross country so it is advisable to also bring a map and compass when completing these routes. 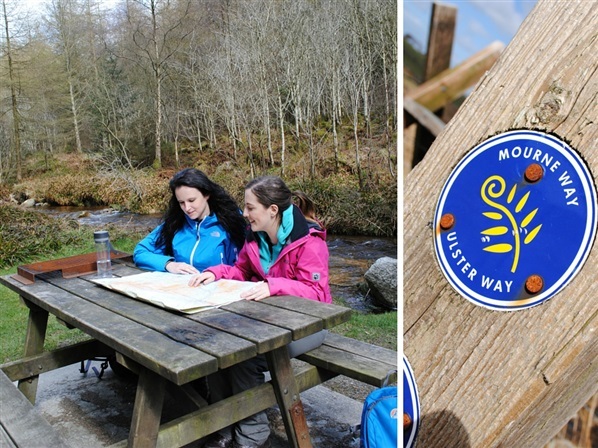 Download your free waymarked way guides. There are loads of walk challenge events taking place for charity each year. Keep an eye out on the WalkNI events calendar for any new ones added throughout the year. 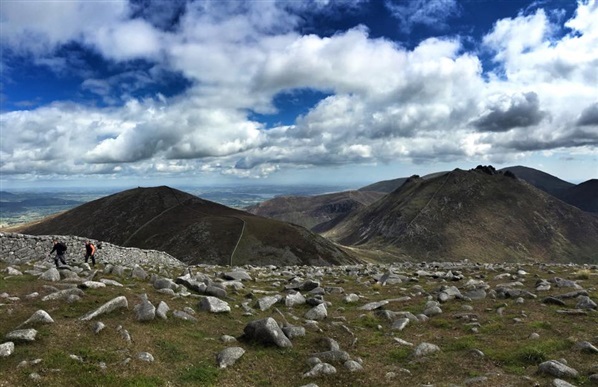 Why not take on PLOD; a gruelling 50 km midnight hike in the Mournes in aid of Action Medical Research or Join Simon Community for a 10 mile "Game Of Thrones" themed sponsored walk in aid of homelessness? 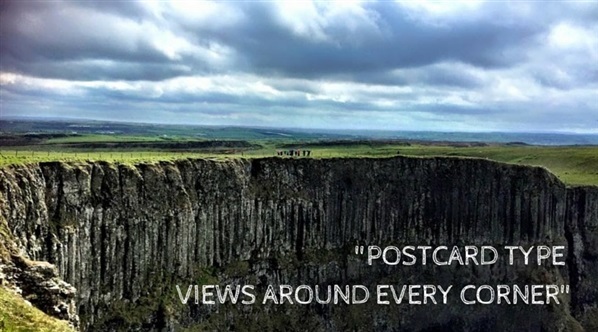 Make it your mission to visit the highest points in NI. You can reach the highest point in Belfast without too much of a strenuous climb on the Divis Summit Trail or tackle a more demanding county high point such as Cuilcagh Mountain in Co. Fermanagh before taking on the highest point in Northern Ireland, Slieve Donard. The site of the St Patrick’s slavery, where he spent 6 years herding livestock for Mulchi, the local chieftain you can be up and down the mountain taking in jaw-dropping views within the hour. After following a grassy track to the base of the mountain, walkers can then pick and choose their own path over rocky terrain to the summit, some 1437 feet above sea level. This short ascent is reasonably strenuous however your efforts are more than rewarded with fabulous views which are sure to re-energise any tired legs. Be sure to keep your eyes peeled for Irish Hares in the surrounding plains and bird lovers will enjoy spotting any number of Wheatears, Ravens and Buzzards hovering above. 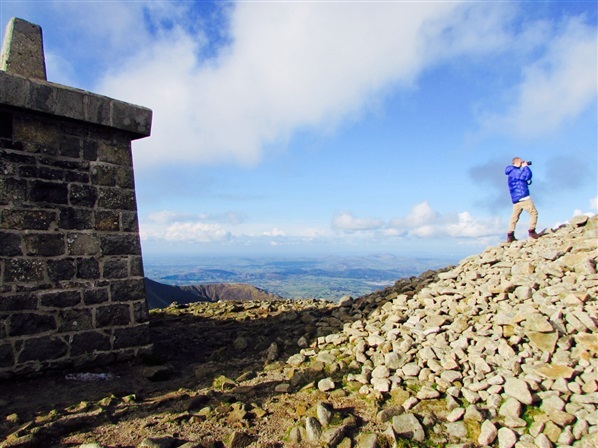 This steep climb through the forest to the summit of Slievenaslat (272 metres) is most definitely worth it for the iconic views of the Mourne Mountains. 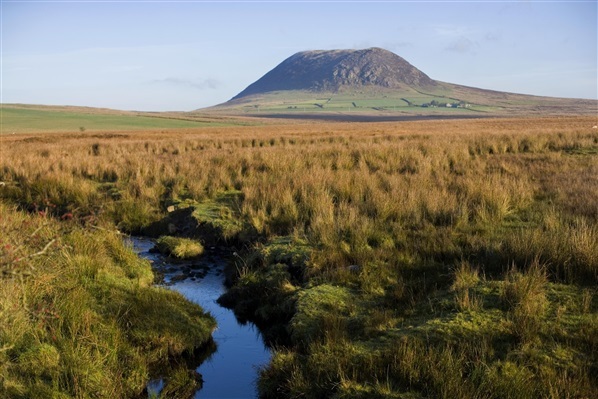 Take in the panoramic views of Northern Ireland’s highest mountain range and surrounding drumlin landscape of Co Down. If that hasn’t tired you out then there are lots of other walks to choose from with a walk trail network totalling 7.5 miles throughout the forest park. There’s nothing better than a blustery walk on a beach to blow the cobwebs away during the winter months. 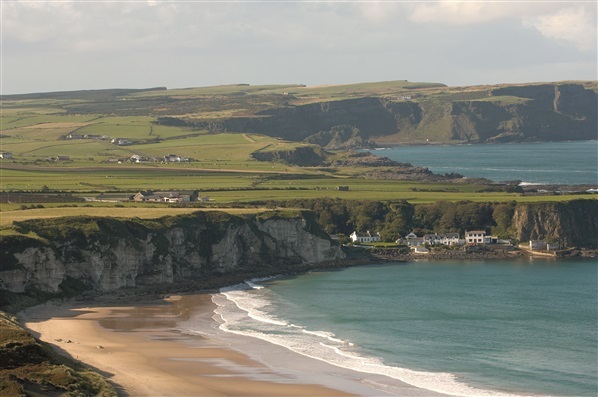 This spectacular sandy beach which forms a white arc between two headlands on the North Antrim Coast is in a secluded location meaning that even on a busy day there is plenty of room for quiet relaxation. 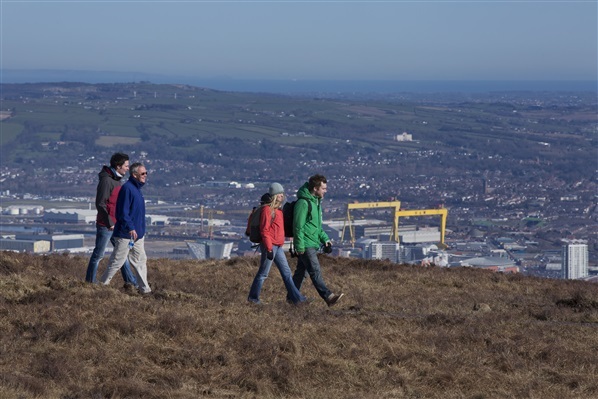 The 4.2 mile circular Divis Ridge trail located in the Belfast Hills offers spectacular skyline views over Belfast as well as the Mourne Mountains, Scotland and the Isle of Man. At an elevation of 478m (1,568ft.) it is the highest point in the Belfast Hills (increasing your chances of spotting some snow!) however the walk itself is on relatively flat paths on tarmac, boardwalk and stone pitched gravel. The Rostrevor Mountain Bike Trails and associated MTB-friendly businesses were the big winners from the MountainBikeNI.com End of Year Awards for 2015. 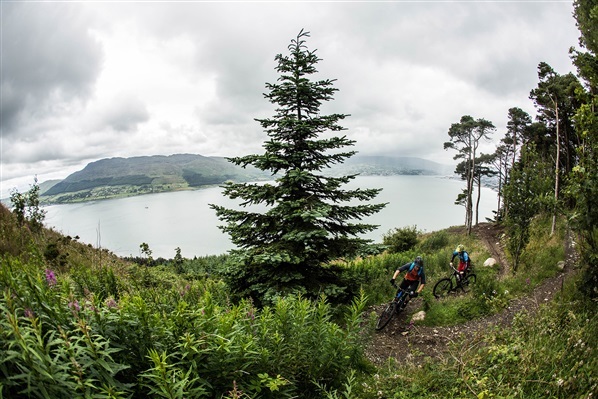 Scooping all but one of the categories this year highlights the popularity of this national trail centre on the shores of Carlingford Lough and recognises the hard work of the local dedicated MTB-Friendly operators in the Mourne Mountains. 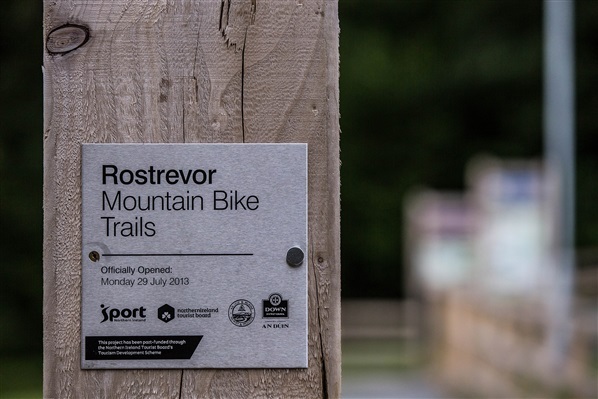 With 32% of all votes cast, the Rostrevor Mountain Bike Trails clinched the coveted 'Trail Centre of the Year' award for the third year in a row, seeing off a strong challenge from the Castlewellan Mountain Bike Trails on 27% and the Davagh Forest Trails on 23%. In one of the closest fought categories, Northern Ireland's Favourite Trail Section went to 'Home Run' in Rostrevor with 16% of votes. The Great Escarpe in Castlewellan was runner up with 14% followed by the Stream Trail in Davagh Forest on 13%. 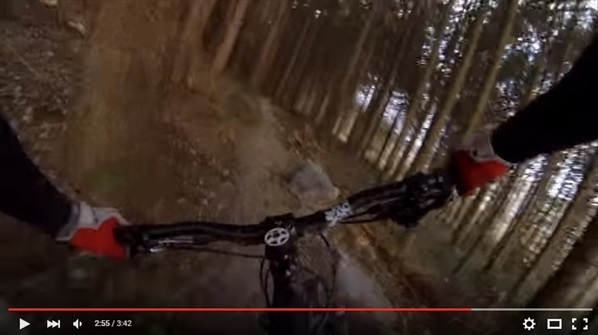 New for 2015, Kodak Corner stormed to victory in the 'Favourite MTB View' category with a whopping 58% of all votes cast. Neck and neck right up until the final few hours of voting, East Coast Adventure (Rostrevor) clinched 'Favourite Trailhead Provider' by the narrowist of margins from Life Adventure Centre in Castlewellan. The final count saw East Coast Adventure secure 40% of votes and Life Adventure Centre a close second on 39%. 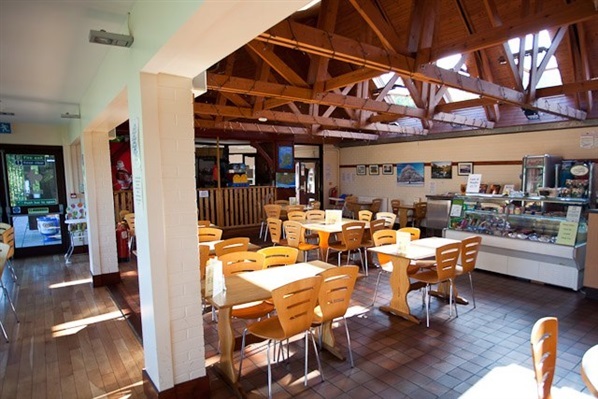 Another impressive performance by the Kilbroney Park Cafe saw Rostrevor's trailhead cafe secure 37% of votes to take the 'Favourite MTB-Friendly Cafe' award for the third year in a row. A strong late surge saw Urban Coffee in Castlewellan finish second place on 26% with the Lock Keeper's Inn (near the Barnett Demesne Trails, Belfast) voted third on 15%. Maginns of Castlewellan, managed to break Rostrevor's grip on an awards 'whitewash' this year by deservedly topping the category for 'Northern Ireland's Favourite Apres-Ride Pint'. Maginns secured 28% of votes with the Kilbroney Bar & Restaurant second on 25% and last year's winner, The Shepherd's Rest, third on 20%. 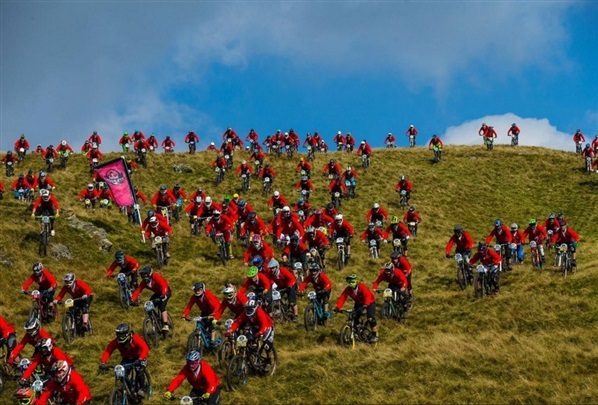 2015 was another great year for mountain biking events across Northern Ireland however it was the Red Bull Foxhunt which was voted 'Favourite MTB Event of 2015' with 28% of votes. Growing from strength to strength, the First Tracks Enduro Cup was runner up this year on 19% of votes with the Davagh Enduro (15%) just tipping Banbridge Cycling Club's round of the Irish XC National Points Series in Castlewellan (14%) to third place. 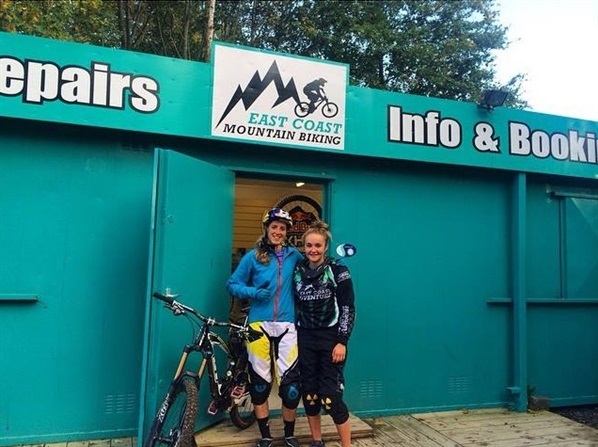 The final award this year for 'Favourite MTB-Friendly Accommodation' went to East Coast Adventure's quirky camping pods in Rostrevor with 21% of votes. The Shepherd's Rest was this year's runner up on 15% with the Whistledown Hotel, Warrenpoint, third on 14%. Many thanks to all those who voted in our MountainBikeNI.com 2015 Awards and congratulations again to all nominees and category winners. 2016 is set to be an even bigger and better year for mountain biking in Northern Ireland and we look forward to seeing you out on the trails! Votes have been counted and verified and we are pleased to announce that the wait is finally over as we reveal the winners of the 2015 OutdoorNI Awards in association with Surf Mountain. With over 1,100 votes cast by the public, the awards saw nominees battling it out throughout December to win the coveted titles. So without further ado we give you the 2015 OutdoorNI.com Award Winners. 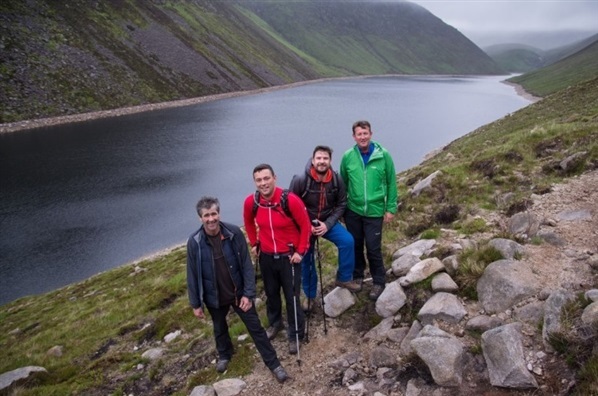 A highly coveted title in the OutdoorNI Awards, this year's Award was scooped up for a second consecutive year by Life Adventure Centre located in the beautiful Castlewellan Forest Park. 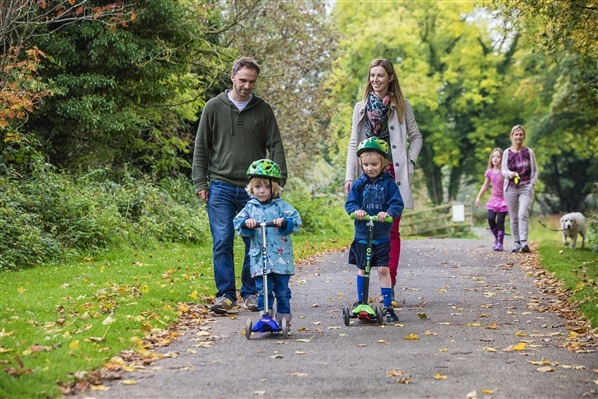 Offering lots of great land and water based activities suitable for all ages and abilities including, as of 2015 their new Kridler Electric Mountain Bikes and Wee Hoo Kids Trailers, ideal for exploring the Castlewellan Mountain Bike Trails. The JungleNI offer an extensive and exciting range of unique activities ideal for any occasion and sure to get your heart racing. Not only was The Jungle Northern Ireland's first and largest paintballing site, they were the first company to bring the exhilarating downhill tumbles of Zorbing to Ireland and are home to Ireland's first high wire tree top adventure course. Nestled in an enchanting woodland in the very heart of Northern Ireland, just 45 minutes from Belfast the Jungle NI is the perfect location for thrillseekers looking to test their sense of daring and adventure. Run Mucker Run raced into first place in this year's Award for 'Best Charity Challenge Event'. Complete with 30 manmade and natural obstacles, climbing eight foot walls, crawling under netting and barbed wire and running up to 10k through mud, were just a few of the requirements for competitors taking part in the Run Mucker Run Challenge on 26th Sept 2015. The challenge was in aid of raising vital funds for Cancer Focus Northern Ireland. A local cancer charity providing a range of services for Northern Ireland cancer patients and their families as well as funding major research and running cancer prevention schemes across the country. The next Run Mucker Run challenge will be held on Sat 30th April 2016. Click here to find out more & sign up. Troggs Surf Surf School are riding high on this latest wave of success. Aiming to provide a fun, informative and safe introduction to the world of surfing, Troggs offers expert tuition to beginners looking to learn the basics, through to experienced surfers. ASI accredited and Quiksilver approved the team of expert instructors offer a wide range of courses throughout the year including kid's summer surf camps, corporate days, Hen & Stag parties, progression sessions and more. Tollymore Adventure Centre navigated to success in this years OutdoorNI Awards recieving the accodlade of 'Best Skills Course Provider'. Located in the foothills of the spectacular Mourne Mountains, the centre offers a wide range of skills courses lead by some of Northern Ireland's best expert instructors! With course running throughout the year suitable for beginners through to those with lots of experience Tollymore's tailored course ensure partivipants get the most from their training session. Scooping up a second award this year The Jungle NI's Fright Night has become widely renowned as one of Northern Ireland's most terrifying nights of the year! For those brave enough the Jungle invites visitors to enter the 'Inbred Horror House' responsible for multiple panic attacks over the years and find out what horrible cannibalistic creatures live in the shadowy depths of a cornfield? With 6 terrifying scare zones and more being added each year look out for it in October 2016. Winning an this for the third year in a row is a great achievement for the National Trust Castle Ward Camping Pod's. Enjoy a mini break with a difference in the historic Castle Ward Estate. 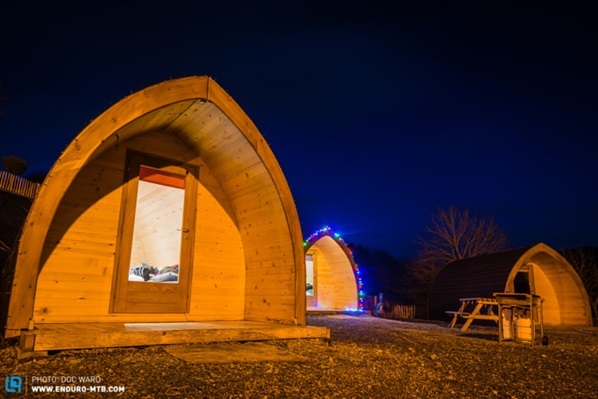 Rain, hail, sleet or shine these heated pods fully insulated guantee a cosy campout with the kids or your other half. Fans of the award winning HBO series Game of Thrones can enjoy lots of themed activities including a cycle tour to iconic film locations from the show and acess to the Winterfell Courtyard. Congratulations to Causeway Coast & Glens winner of this new award for 2015. Fighting off competition from three other fantastic nominations! It's hard to complain of having nothing to do in this destination with so many adventures waiting for you whether you decided to get into the water or keep your feet on solid ground! Head to the beach for a surf or SUP lesson with Troggs Surf School or Long Line, follow the North Coast sea kayak trail, take a high speed boat tour with Aquaholics Sea Safari or Portrush Sea Tours or walk the Causeway Coast Way, the list is endless. For many cyclists both nationally and internationally an annual event in their calendar is taking on the iconic Giants Causeway Coast Sportive. OutdoorNI would like to take this opportunity to thank everyone who voted in this years Awards in association with Surf Mountain.